Duplex Board by Topsun Trading Co., Ltd.. Supplier from South Korea (Republic Of Korea). Product Id 890239. GOLD Member Topsun Trading Co., Ltd.
1. 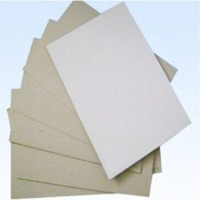 Product range:230-500gsm 2. Size:Sheets and reels are both available, 3. Grade : Grade AA A AB B are availabe 4. Features: Standard weight,high-standard stiffness,even thickness,nice coating,good smoothness, etc. 5. 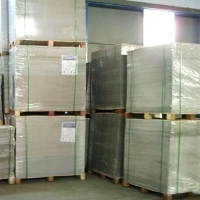 Material:Imported waste paper and imported pulp. 1. PP film in wooden pallets 2. 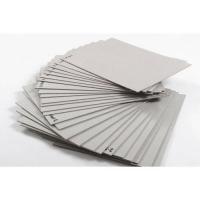 100sheets wrapped with craft paper . pp film in wooden pallets. Detailed Introduction : 1. 180-600gsm. 2. High surface intensity suitable for any kind famous brand high-speed 6 or above colors offset printer, for example Heidelberg, Roland, KBA, Mitsubishi, Lithrone etc. 3. Super surface coating, good surface smoothness, stable ink absorbability, low surface roughness and rich printing dots, makes excellent printing result. 4. Good surface decoration feature assures excellent calendaring, hot-stamping and laminating results. 5. Outstanding paper stiffness is a strong support for carton laminating and die-cutting. Normal packing: PE film wrapped, packed on strong wooden pallets, 4 angles with strong protector. Search More Like "Duplex Board"